Global Valuation provides Business Valuations on all types of business including but not limited to mining projects, energy projects, natural resources, theme parks and amusement parks. Almost all business is going concerns. Our appraisers have all of the required skills and the experience to complete this type of valuation assignment. A going concern is an established and operating business with an indefinite future life. For certain types of properties, physical real estate assets are integral parts of an ongoing business. Most noteworthy, this applies to resort hotels, sports complexes, casinos, and manufacturing enterprises. 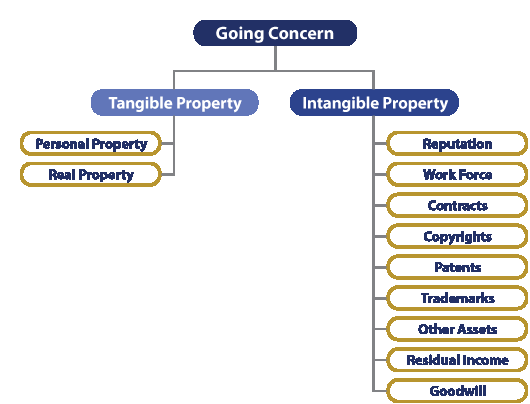 The tangible and intangible assets of the going concern as if sold in aggregate figure into the property’s market value. Laymen refer to this as business value or business enterprise value. However, the market value of a going concern actually includes real property, personal property, and any intangible assets. Traditionally, the term going-concern value meant the value of a proven property operation or a proposed operation. The current definition of the term highlights the assumption that the business enterprise is expected to continue operating well into the future. In contrast, liquidation value assumes that the enterprise will cease operations. 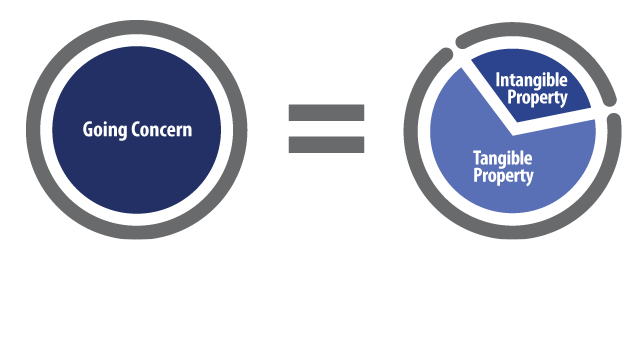 Going-concern value includes the incremental value associated with the business concern. This is distinct from the value of the tangible real property and personal property. The value of a going concern includes an intangible enhancement of the value of the operating business enterprise produced by the assemblage of the land, buildings, labor, equipment, and marketing operations. This assemblage creates an economically viable business that is expected to continue. The value of the going concern refers to the total value of the Tangible and Intangible property attributed to business value. 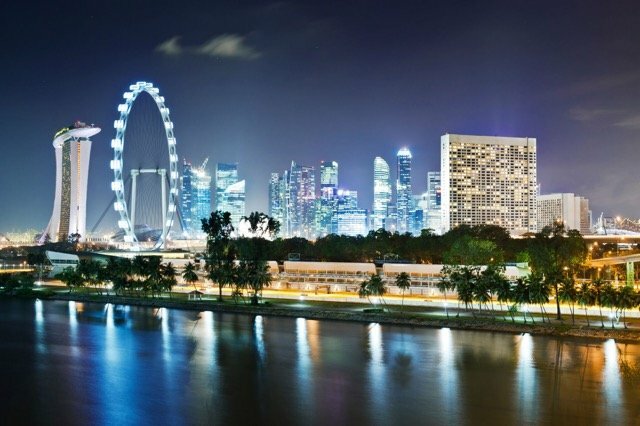 Global Valuation delivers state of the art going-concern valuations. They are defined as Market Value of the Total Assets of the Business (MVTAB) and include tangible real property (real estate), tangible personal property (FF&E) and intangible personal property (business value).